Reliable Exterminators is your local, 4th generation, same-family-owned Pest Control company. Our name says it all. We serve Lafayette, IN and the 14 surrounding counties with personal, professional, licensed technicians. We’re not part of a national chain or company, which means better service and lower prices. We use the best products and procedures to stop termite and pest problems. We are an independent company, not a national company, so we use methods that work based on our own experiences. We aren’t restricted to just one product or brand to please a corporation’s stockholders. We can utilize the most effective treatment for your needs. We have over 80 years of experience controlling termites and other pests, and we intend to be here to solve any future termite problems. We have reasonable prices - usually far below the national companies, due to our lower overhead. We don’t have several layers of management, and we don’t send franchise fees to anyone. We are locally owned by the same family since 1936. “Uncle Charlie” Partlow started Reliable in 1936 after graduating from Purdue with an entomology degree. His nephew Jim Hanstra succeeded him, and for the next 40 years the company had been owned and operated by Jim’s widow Phyllis and son Bob. Bob’s daughter Andrea took over for Phyllis in 2011 as the 4th generation. Our technicians that treat your house are fully certified and licensed in termite and pest control by the state of Indiana. That means that they have been trained and tested on how to use the products safely and effectively, and receive continuous training to maintain their certifications. Some companies’ technicians work under their supervisor’s certification and may not have received the same level of training that ours have. Honest evaluation of your pest problem - we won’t oversell you or make you sign a long term contract. 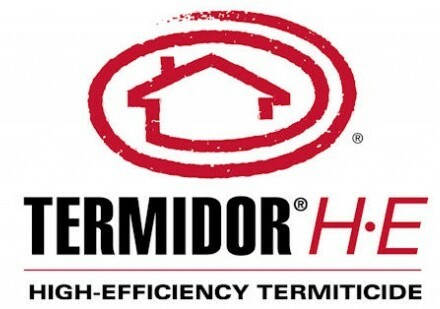 Low termite warranty renewal rates that remain low. Our competition raises their renewals 10% every year! We inspect every year and will retreat a problem area at no charge if new infestation is found. When you call our office, you are greeted by a real person who knows about pest control. You won’t get an automated answering system or an answering service. We keep our appointments and won’t be a “no show”. 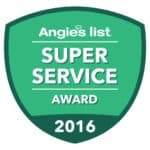 “A” rating on Angie’s List and 6 time recipient for Angie’s List Super Service Award! Also voted Best Exterminator in Rensselaer in 2017!